Berlin is a lyrical account of the city as well as a book of discoveries, allusions, and traces, an homage to great literary figures who have lived in Berlin. 31 prose miniatures are combined with 21 black-and-white photos taken by Šteger in the city. 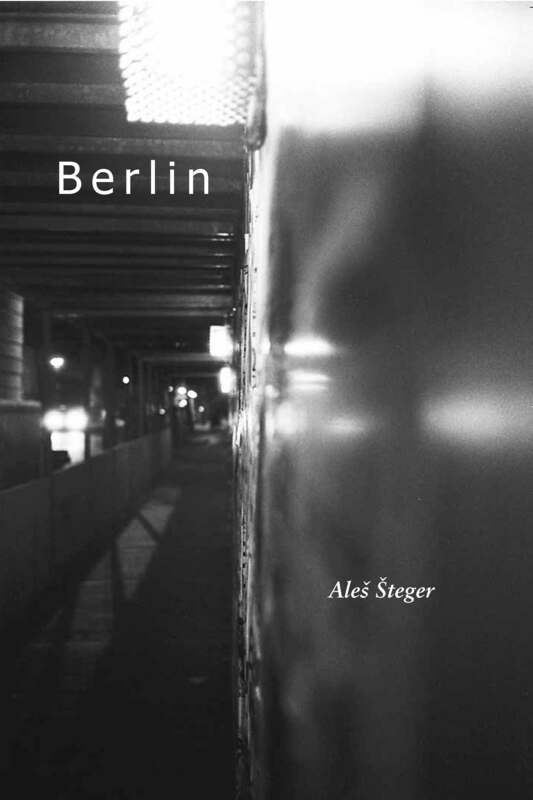 Instead of describing, Šteger works to create a web of Benjaminian passages and allusions, a flaneurian book full of small details that takes the reader on a smooth yet unpredictable journey through the city, which turns out to be a city of texts. Highly successful in Europe, Berlin has received major awards and has been translated into many languages. English translations from the book have appeared in various magazines, including The Antioch Review, Asymptote, Conduit, Conjunctions, Denver Quarterly, Gulf Coast, The Iowa Review, Jubilat, The Kenyon Review, and Virginia Quarterly Review. Aleš Šteger has published six volumes of poetry, a novel and a book of prose. He is the most translated Slovenian author of his generation. His texts and poems have appeared in more than 200 international magazines, including The New Yorker, Neue Zuricher Zeitung, and Lettre International; and he has received numerous awards for his work, including the 2007 Rožaneva Award for the best book of Slovenian essays (for Berlin).